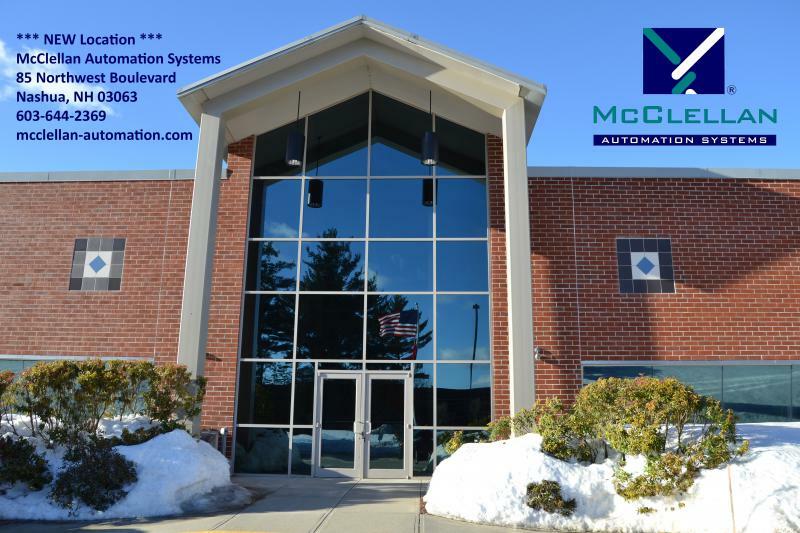 McClellan Automation Systems is pleased to announce that the company has moved into a state-of-the-art facility in Nashua, NH. The companys address is: 85 Northwest Boulevard, Nashua, NH 03063. All other contact information remains the same, including phone numbers. McClellan will be consolidating their headquarters in Bedford, NH and their manufacturing facility in Merrimack, NH into the Nashua, NH location. The move follows two years of running operations in three separate facilities in the Bedford area. We are thrilled to now have all McClellan employees and departments under one roof as we continue to grow and expand our market reach, says CEO Ray Ritter. Last fall, McClellan Automation Systems was named Business NH Magazines fastest growing private company for 2013. From 2010 to 2013, McClellan Automation Systems grew by 1,750%, thanks in part to diversification from the companys roots in the medical device manufacturing industry to the consumer products and life science industries. McClellan Automation Systems provides custom automation equipment for high-precision discrete part assembly, process automation and web handling. Systems can be either stand-alone or fully integrated with upstream or downstream automation. These may include prototypes, work-stations and pilot scale systems. The company specializes in difficult applications using a variety of process solutions. All McClellan systems are proven with a factory acceptance test prior to shipment and installation. Founder and Chairman James W. McClellan looks to the future by investing in companies developing emerging technologies, Our goal is to continue the diversification into new markets and advanced manufacturing systems. For more information on McClellan Automation Systems, visit www.mcclellan-automation.com.